Glenavon fans will have gone away after tonight’s game happy despite the result and no doubt impressed with the Lurgan Blues performance. 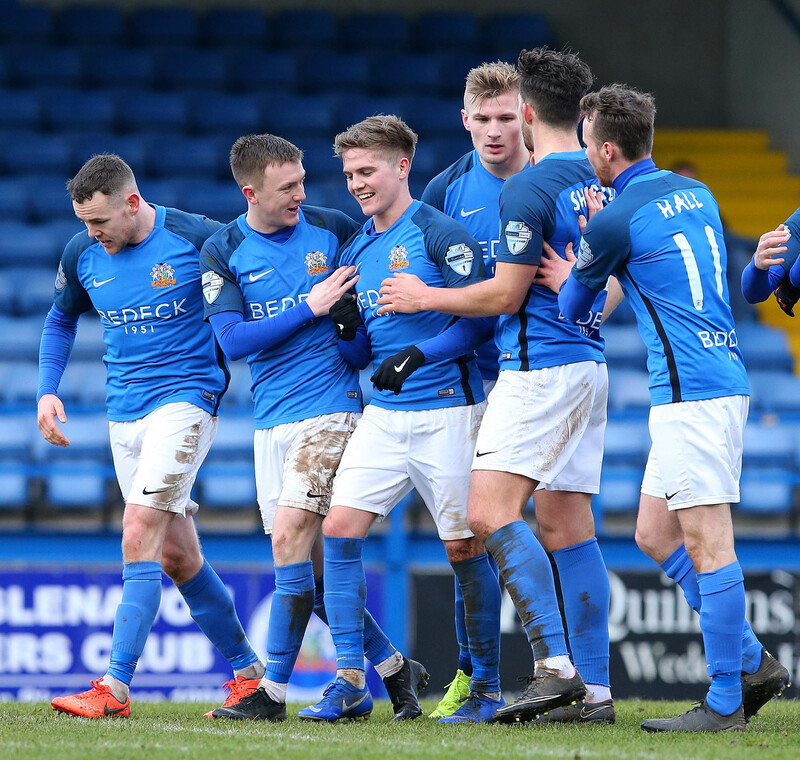 Unfortunately two errors gifted the undoubtedly talented visitors their goals but Gary Hamilton’s side never gave up and, coming on as an 82nd minute substitute, he himself helped inspire his players to pull back a goal that at least gives Glenavon a ray of hope going in to next week’s away leg in Belarus. 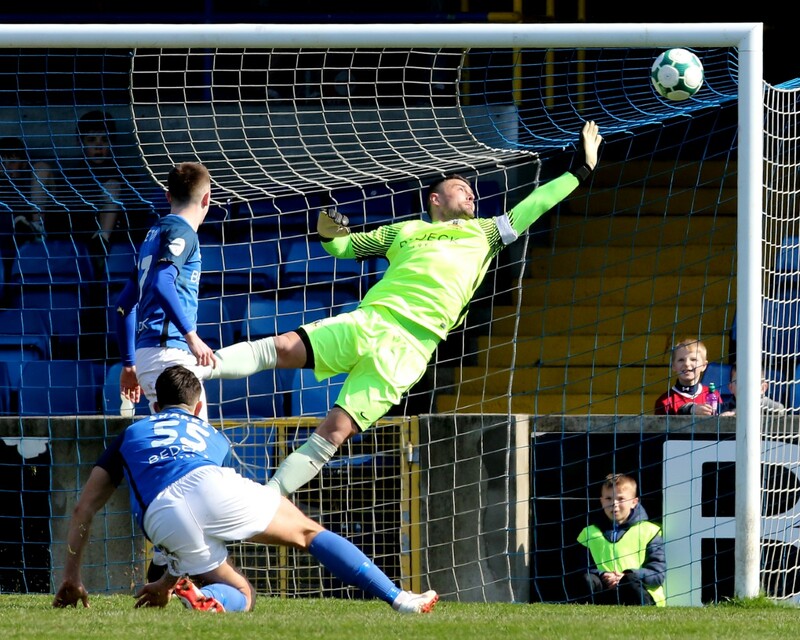 2: 0-1 Disastrous start for Glenavon as a poor kick out by McGrath went straight to Yanush and though the keeper saved his effort Afanasyeu followed up to fire into the empty net. 11: Great chance for Marshall as Dillon heads Hall’s free kick across goal but the youngster can only steer his shot straight at the keeper. 28: Starhorodskyy free kick curls wide but McGrath was able to watch it out. 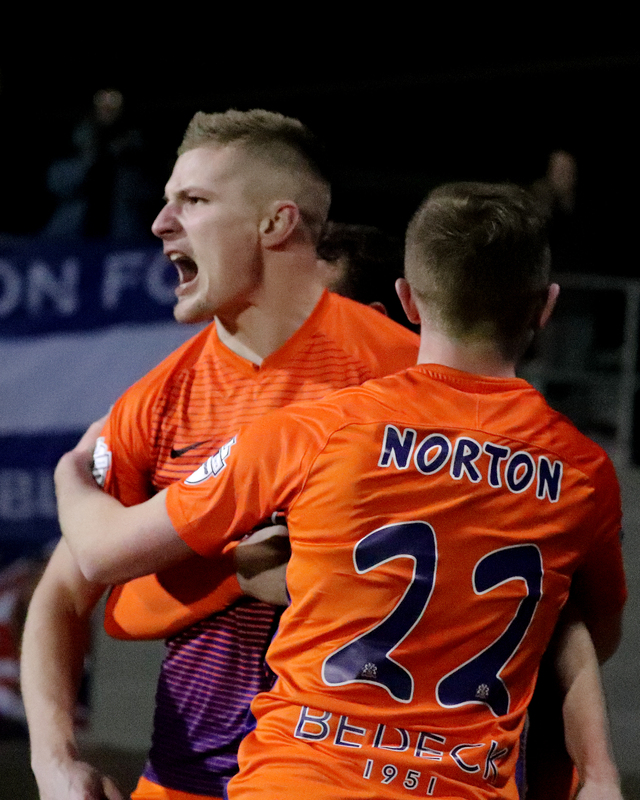 30: 0-2 Another error costs Glenavon a goal as Martyn’s woefully under-hit back pass never looked like reaching McGrath and Kamarouski made no mistake with only the keeper to beat. 38: Another poor back pass! This times its Kilmartin at fault but the woodwork comes to the rescue as a shot crashes off the post and is cleared by Kilmartin himself. 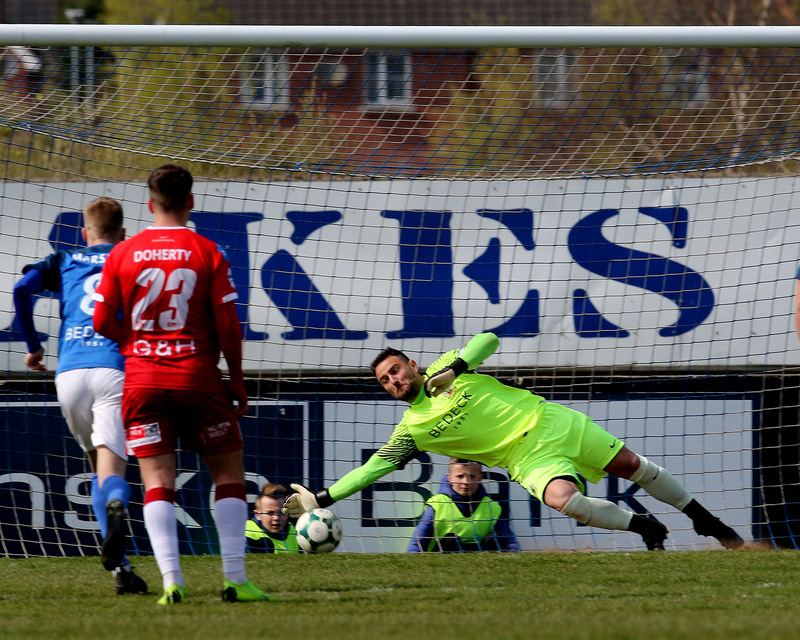 44: Quick break by Glenavon as Bradley latches onto a long ball, holds it up well and plays Braniff in but his shot clears the bar under pressure from a defender. 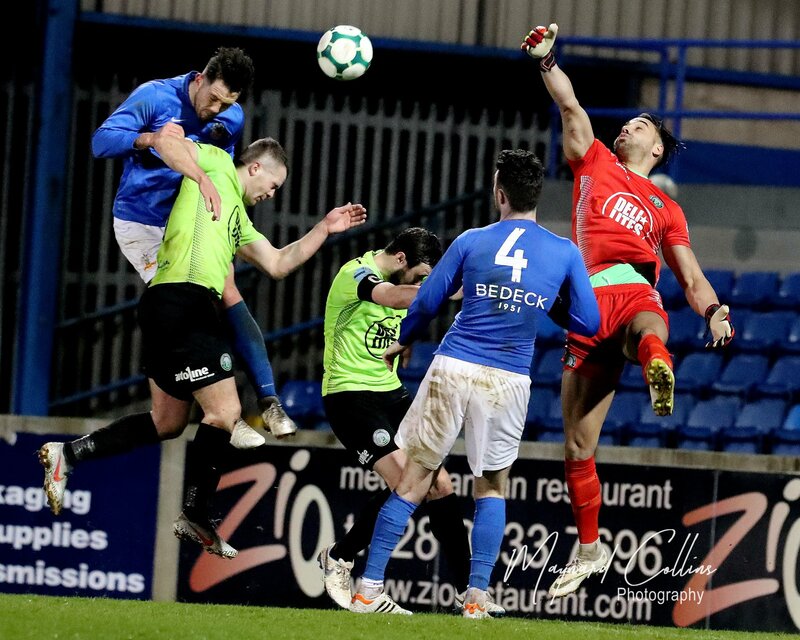 45: HT 0-2 Two goals gifted by Glenavon who actually created a few decent chances themselves. 47: Great pass by Braniff to put Bradley in ant looked like he had pulled a goal back when he lobbed the keeper but somehow it was cleared off the line. 67: Somehow Martyn can’t force the ball over the line from four yards out! Shakhtyor: Bushma, Matveichyk, Yanushkevich, Yurevich, Afanasyeu, Yanush, Starhorodskyy (C), Mikoliunas, Kamarouski, Rybak, Kuzmianok. Subs: Kotenko (GK), Shybun, Covic, Kazeka, Martynyuk, Kavaliou, Vasileuski.